Floods are considered to be the single most common natural disaster in the U.S., with 98% of all basements in the U.S. dealing with some sort of damage during their existence. A major reason for this is that floods can stem from a variety of issues, but in southern Florida, hurricanes are the most common. Flood damage and water damage can create a huge expense for homeowners, not just due to the initial impact, but due to the problems that prolonged water damage cause. 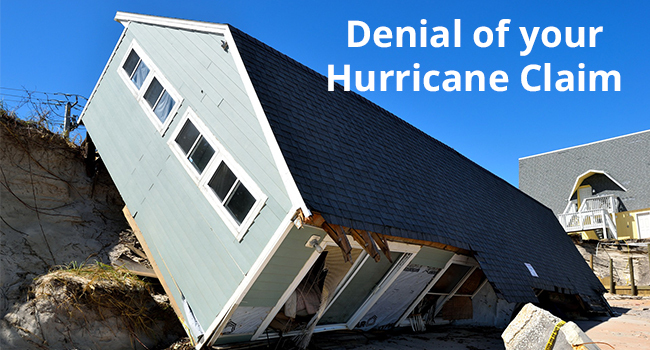 In addition, this can be compounded by the Denial of your Hurricane Claim, so you want to know exactly what type of water damage you may be dealing with when your home floods. A good place to start is understanding exactly how long it takes for your house to flood, but it’s difficult to figure this out as your typical homeowner because every house is different. However, there are some online tools that can provide you with basic customized advice. Basically, these tools take the information you give about your home’s square mileage and the different appliances in your home. This can provide you with some tools to estimate what to look at. There are other gadgets and tools that can help you with early warnings, like freeze sensors and water alerts. However, while early warnings are effective, you still need to know what to do when a flood actually starts, as the first 24 hours often have the most important things to consider. Here are some key points you should look at. Being Safe: Assuming that you leave your home during hurricane conditions, you want to make sure that you are extremely careful when you first return to examine the damage. If you didn’t already turn off the power, be sure to make sure that you do so before entering the home. In addition, you want to make sure that you are wearing protective clothing and be careful about what you come into contact with. Keeping the Home Dry: There are a lot of options when you have to get rid of excess water when it comes to your home. Sump pumps, wet vacuums, and buckets are options on the table, but whatever you use, you need to make sure that you have something in mind to help dry things out. This is especially the case for summer storms as the humidity is higher. Whether you use fans or dehumidifiers, have some equipment in place to tackle this issue. Keeping the Home Clean: After a flood, mold can start growing within the first 24 hours. Because of the health risks involved, it’s best to leave this particular task to professionals. Because of all these issues, it’s important for people who live in areas at high risk of hurricanes to take the time to seek out an Attorney Insurance Law Firm in Miami. In case you invest in flood or hurricane insurance but don’t get the money you need to handle the damage, you want to act quickly to make sure you get legal compensation and take care of your home as soon as possible.